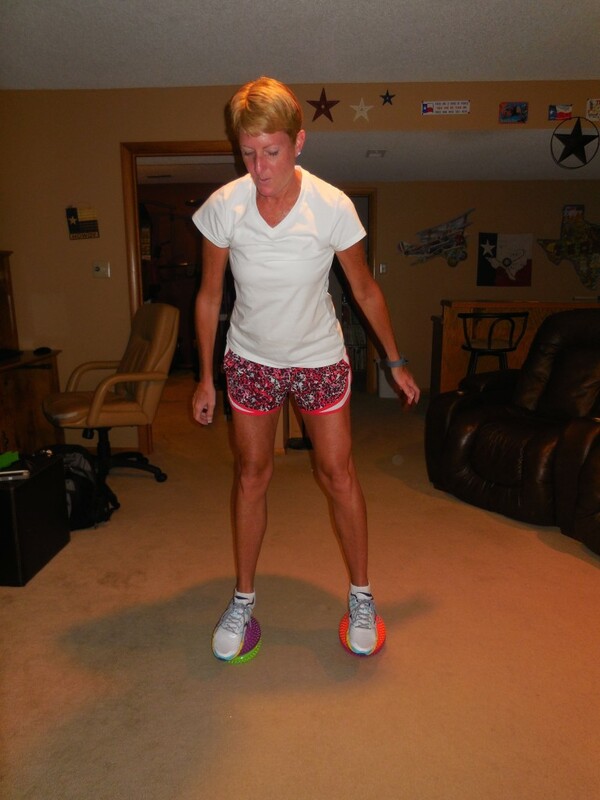 Sunday 6/8 – 44 leg abductions while standing on wobble ball. You can see that I stood on the flat side for this move. 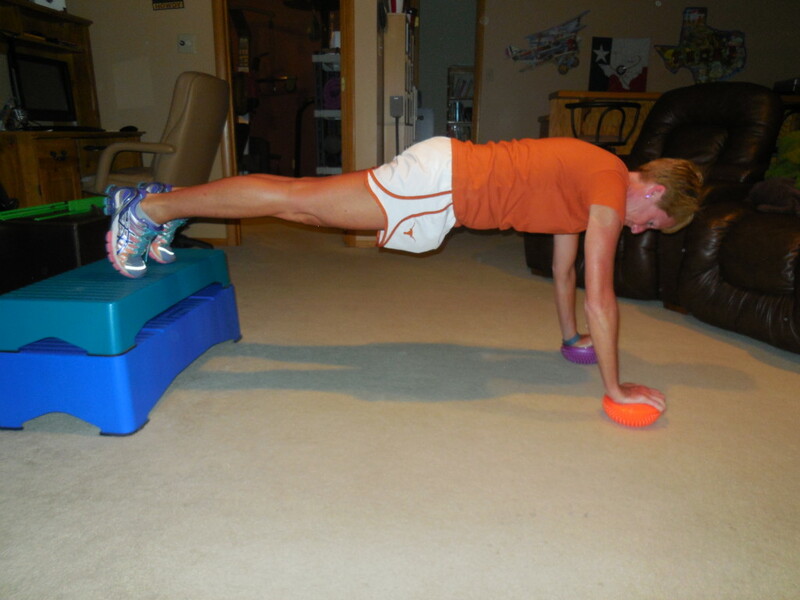 And, after I did 44 abductions with my left leg I had to switch and do another set!! I promise I really was standing on the wobble ball – sometimes the pictures don’t come out exactly like I want them to!!! 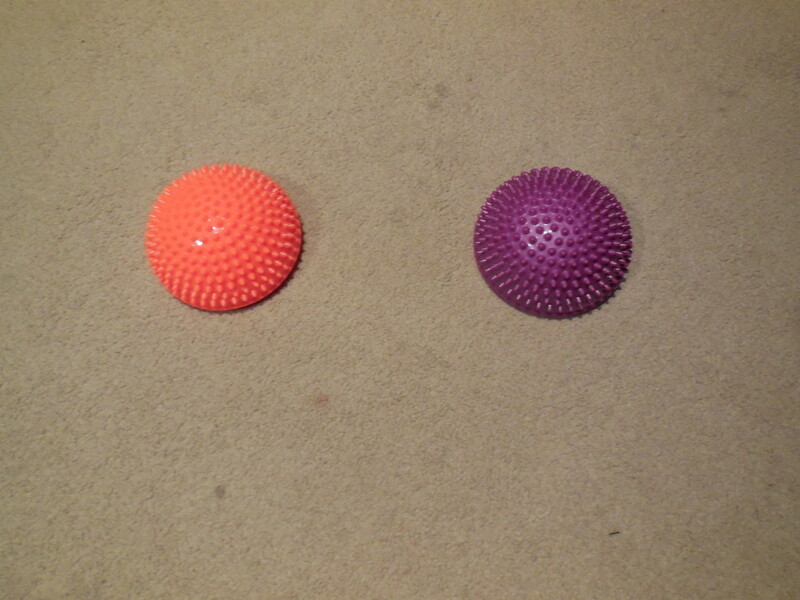 Monday 6/9 – 44 decline push-ups with my toes on a step and my hands on wobble balls. 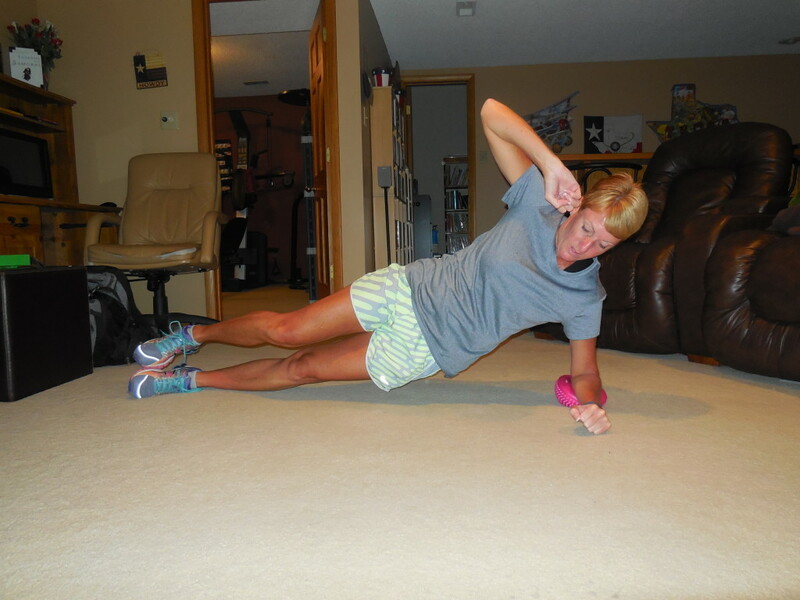 Not gonna lie – this move was HARD!!!! I’ve been lifting fairly consistently again with Chalean Extreme – this day was Burn Circuit 3. 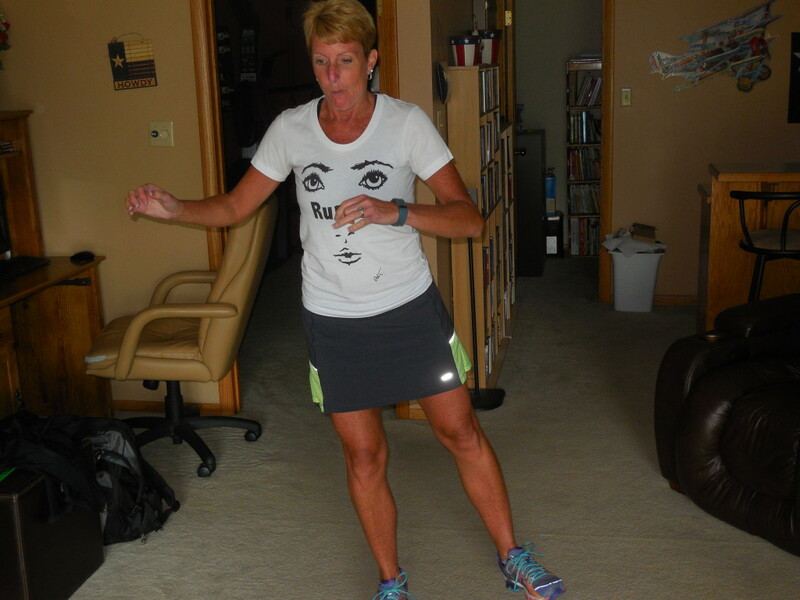 I also did a workout that I don’t do very often – ReeBok Cardio Tone. Pretty much this was my version of a recovery day!!! 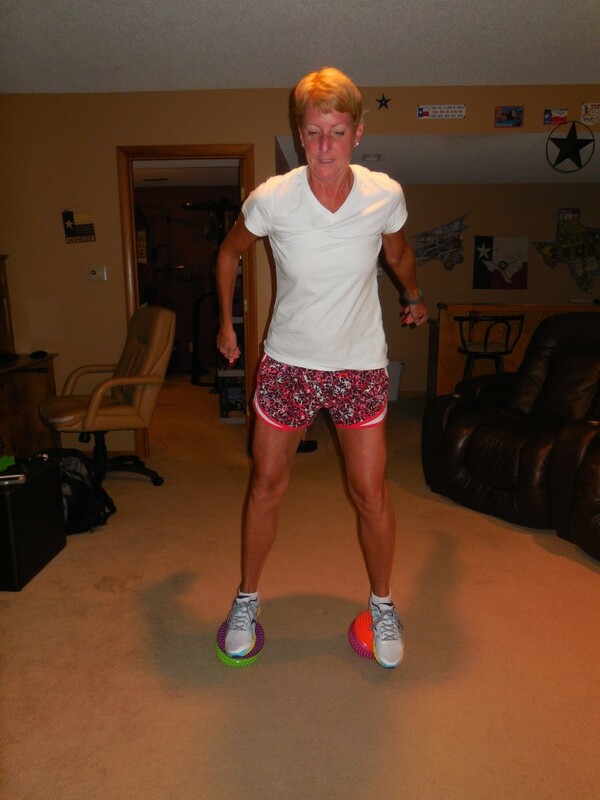 probably not super safe but…..
Just balancing on the stacked wobble balls was entertaining!!! This move was a challenge!!! Once I actually got down into the squat position, I actually got about 16 pulses the first time and then 20 something the next time before falling off. Obviously, it took several attempts to get all 44. And, it was a run day!!! 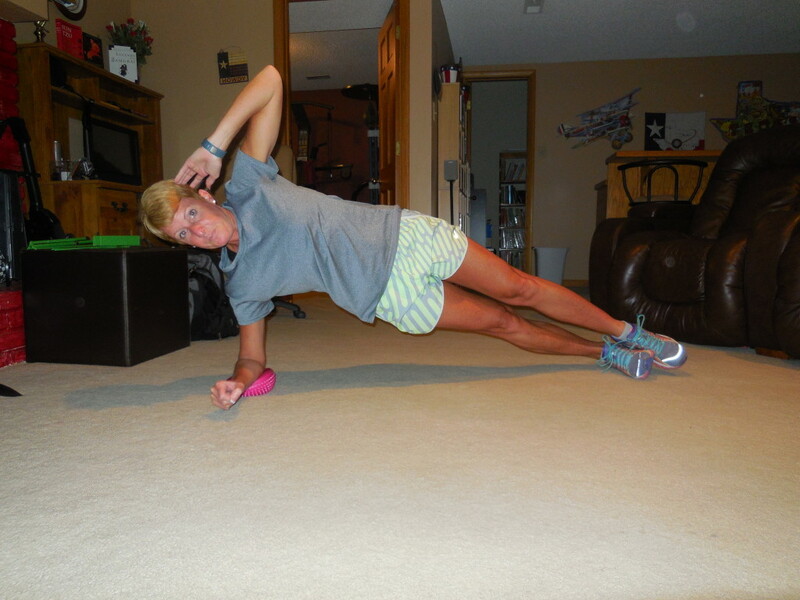 Wednesday 6/11 – 44 side plank hip dips with elbow on wobble ball. 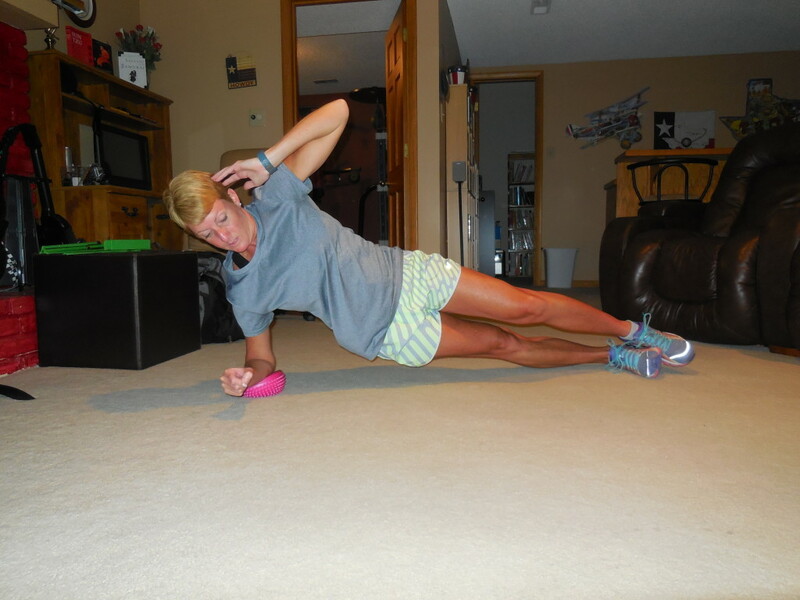 This move was hard – just holding plank while balancing on the wobble ball was a challenge!!! After I finally finished the first set I flipped over and had more fun! 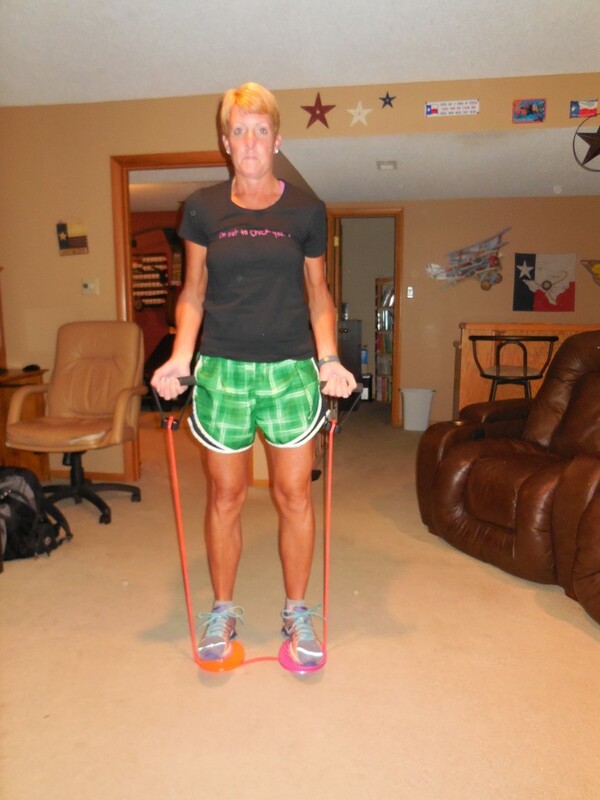 Back to the weights – Chalean Extreme – Burn Circuit 1. 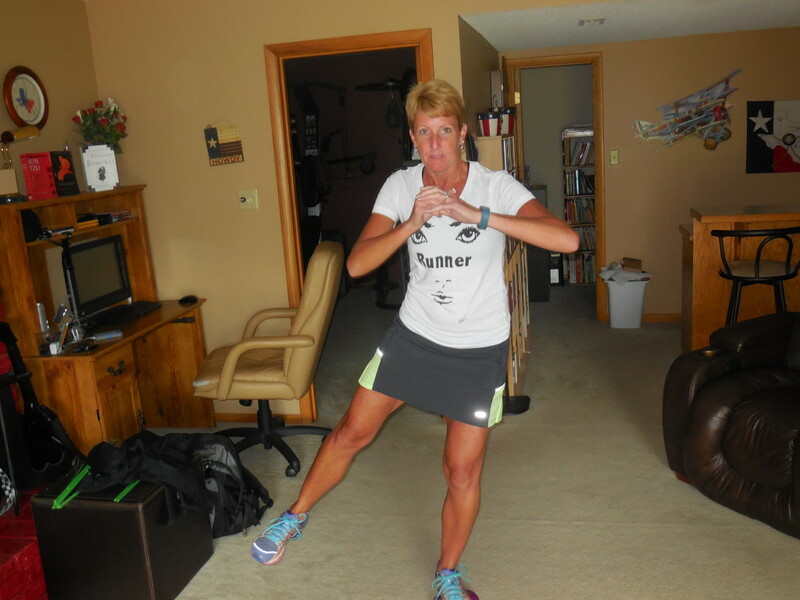 Then I did one of my favorite workouts ever – Les Mills Pump – Combat!!! 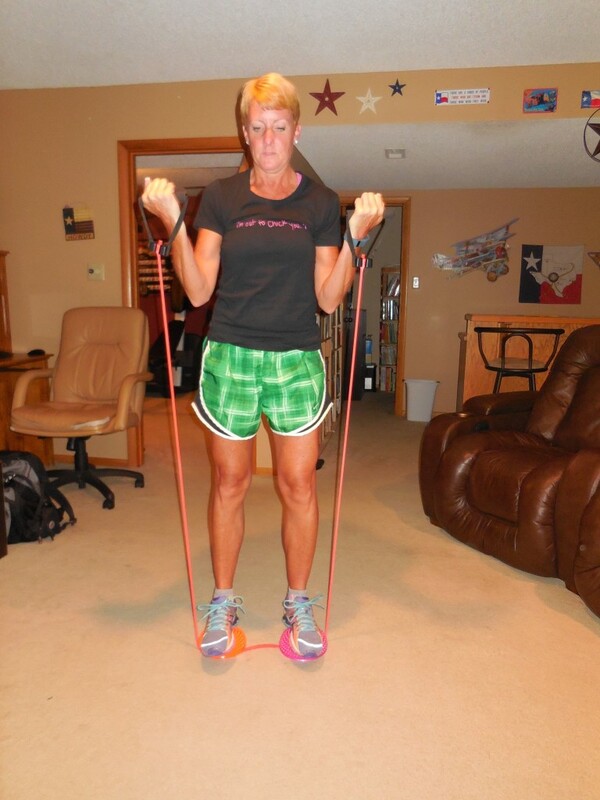 Thursday 6/12 – 44 band bicep curls with wobble balls on band. 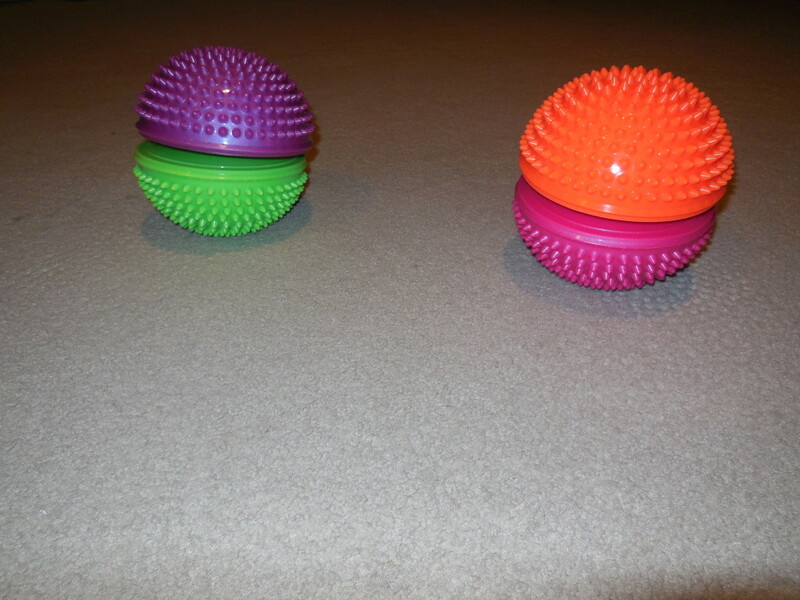 Adding the wobble balls made this move so much harder – it was a fun challenge!!! I pulled out another DVD that I rarely do – Mari Winsor Pilates from Shape. It is a nice recovery type workout. 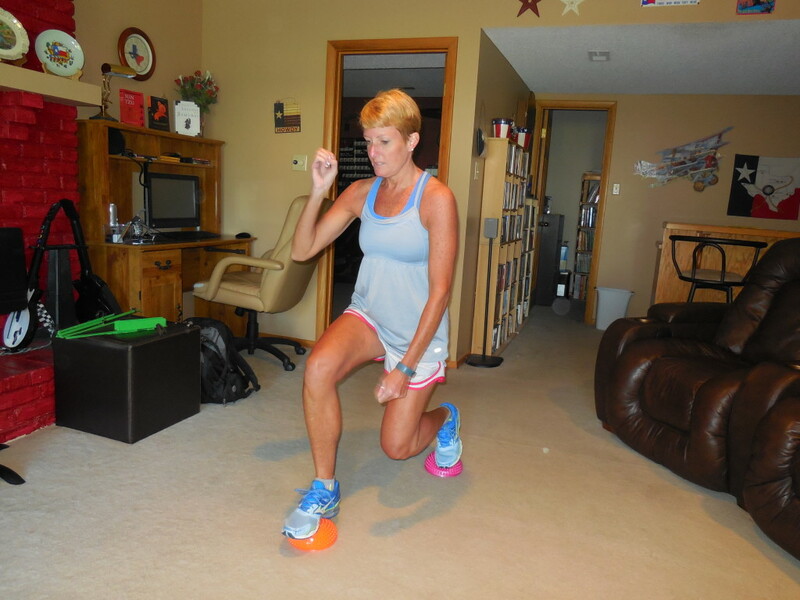 Friday 6/13 – 44 lunges on wobble balls. This was hard to balance initially but once I got the position it was good. By the time I finished 44 my quads were burning!! 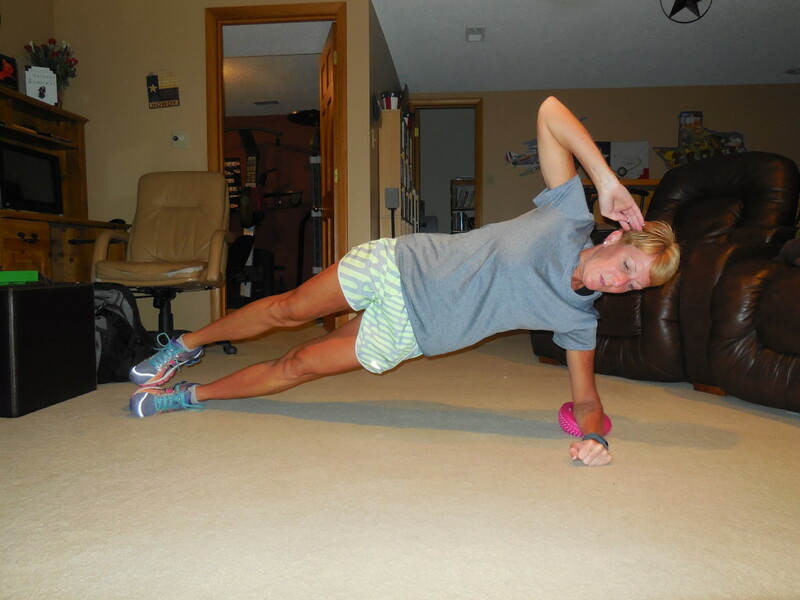 The added balance challenge made it a lot different than a standard lunge. And, of course, I don’t want to be unbalanced so I switched sides and did another set of 44. 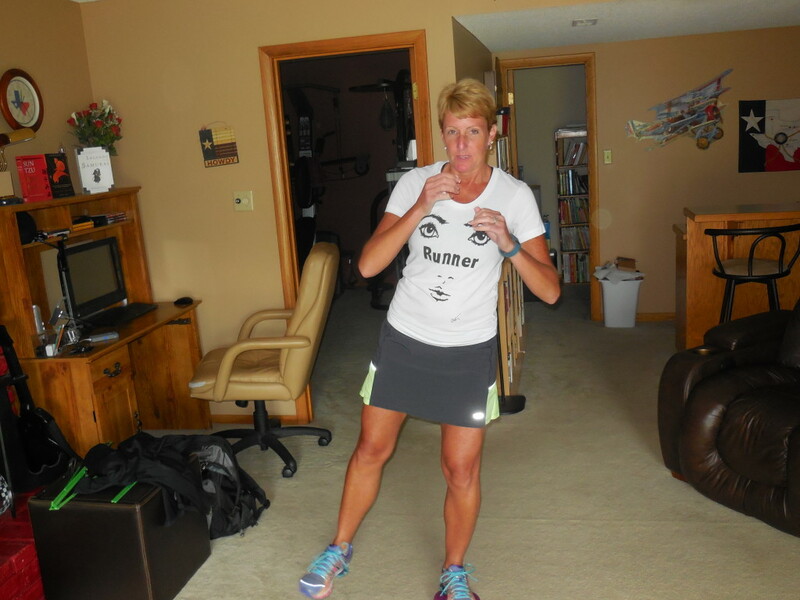 And, it was another running day. 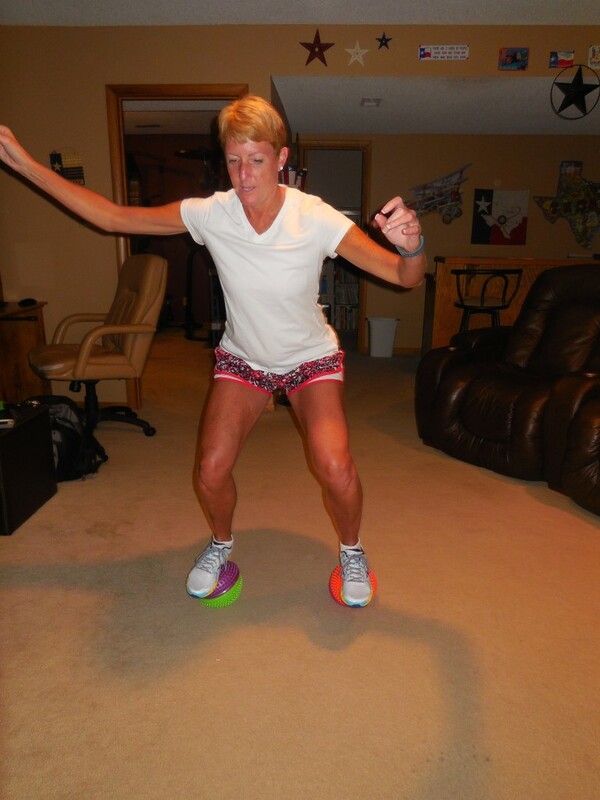 Saturday 6/14 – 44 jump squats onto wobble balls. 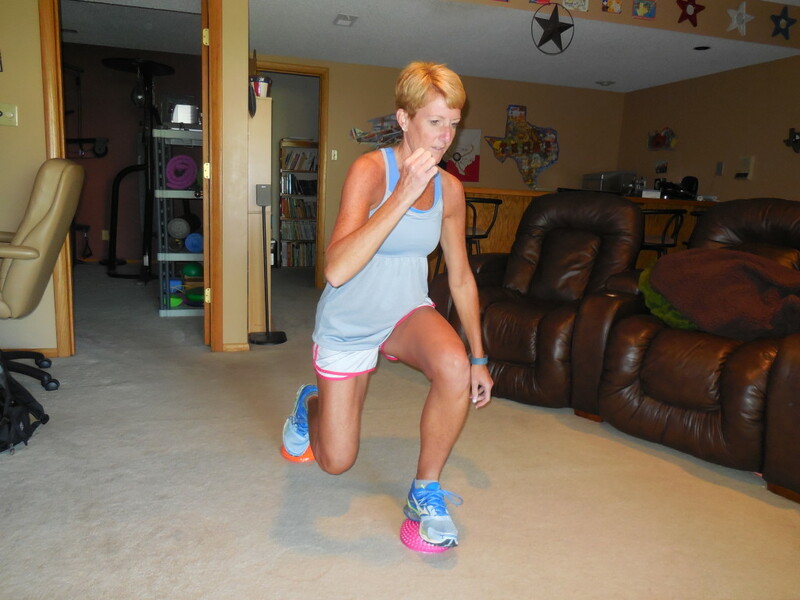 This actually was a really fun way to do jump squats – the added balance challenge was great!!! 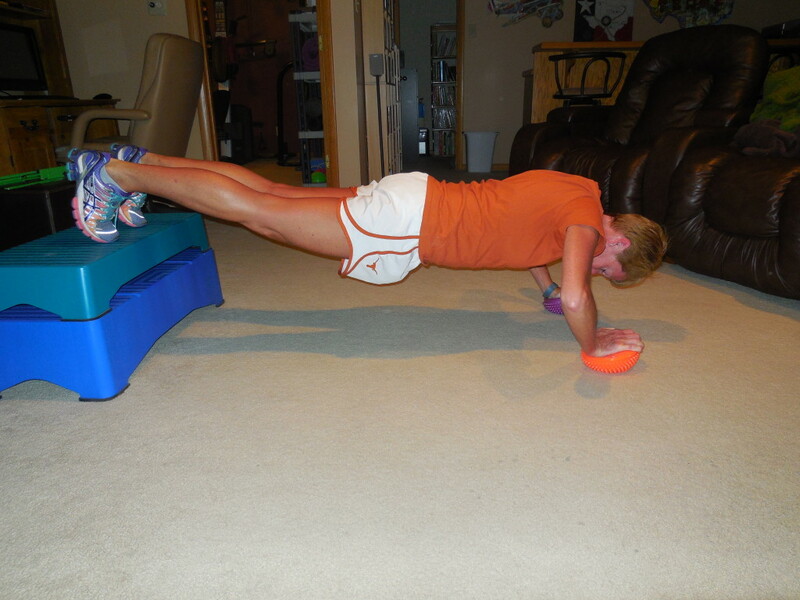 And, I wanted to get 3 days of lifting so it was another day of Chalean Extreme – Burn Circuit 2. 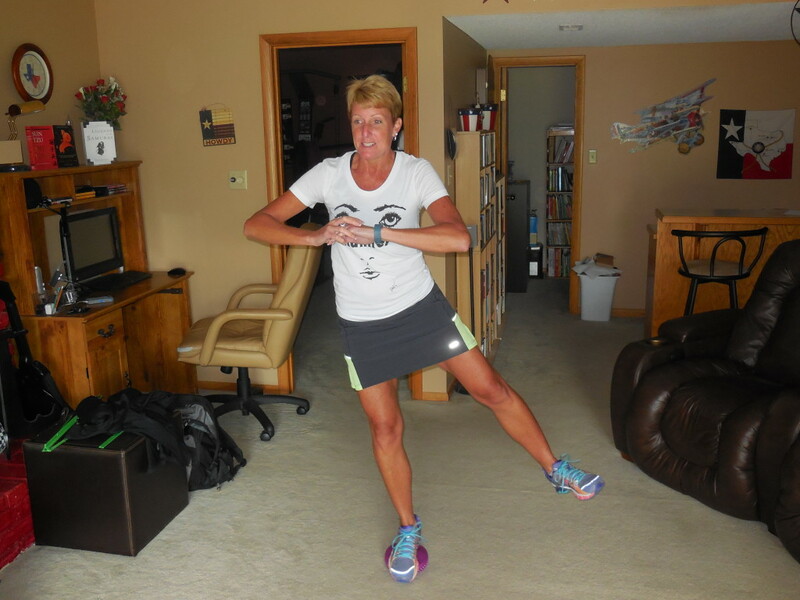 Lately I’ve been happy with my workouts – I’m trying to keep a mix of running, lifting and other workouts. In the next few weeks I will probably start to increase my running again – I have a couple of running events coming up and want to be ready. 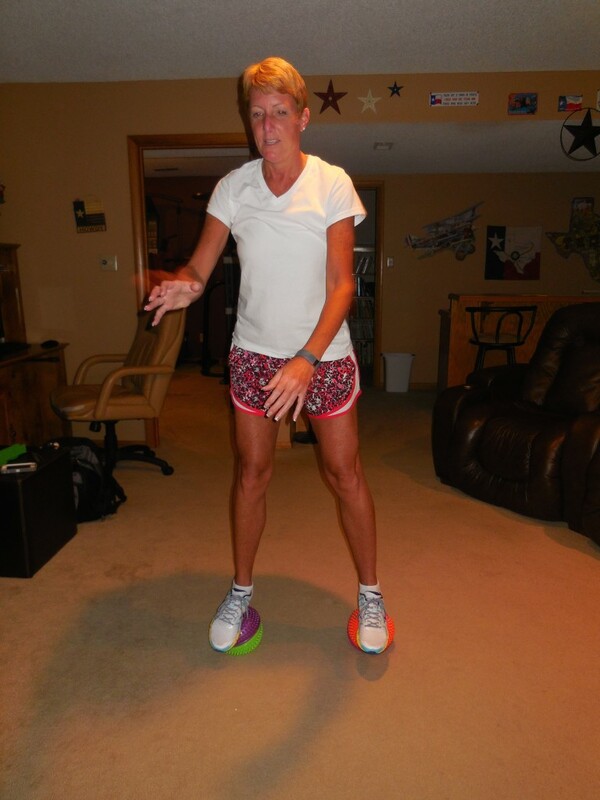 How often do you work on your balance?